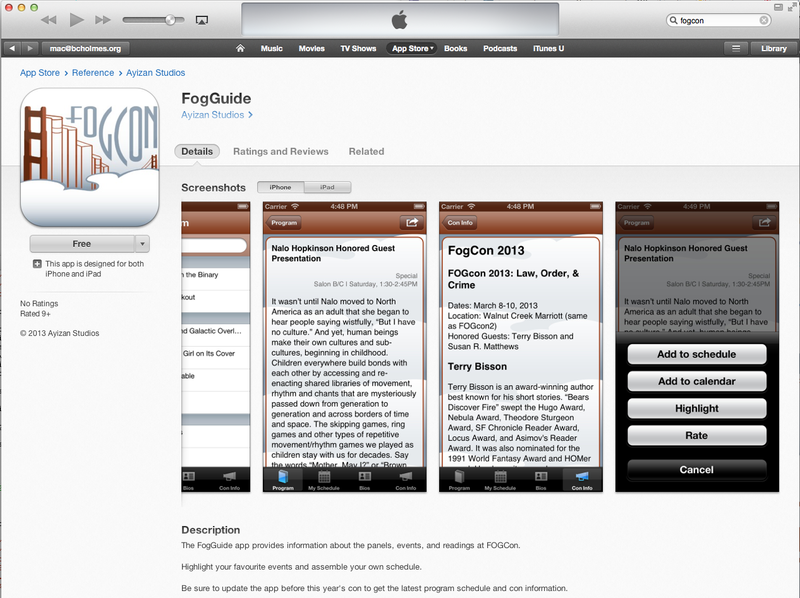 We’re pleased to announce the availability of the FogGuide app in the iOS app store. FogGuide is the electronic schedule for the upcoming FogCon convention, taking place over the March 8th weekend in Walnut Creek, California. The programming items for this year’s con are still being finalized, and we expect to ship an update just prior to the con with the latest program items.